Anyone who owns a small business knows that managing cash flow and constant unpredictability can be challenges, but The Plum Card® from American Express (American Express is a CardRatings advertiser) allows business owners to better handle their finances with benefits like flexible payment options, discounts for paying early and low fees (particularly in the first year of card membership). For any entrepreneur in a high-volume business and with enough cash on hand to meet the minimum payment requirements, the lack of pre-set spending limits and opportunity for discounts on your statement balance make this a viable option. No annual fee the first year ($250 after that). See Rates and Fees. 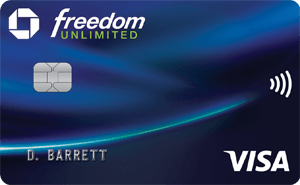 No annual fee for employee credit cards. Discounts for paying your balance early and more flexibility with payment due dates, without accruing interest. Access to American Express online tools to manage your business, including ReceiptMatch to itemize and track expenses, account alerts and a year-end summary. Purchase protection, extended warranty, car rental and travel accident insurance and roadside assistance. You have up to 60 days interest-free to pay off your balance once you've paid your minimum amount due. Get rewarded for paying your bill early. Even if you only pay the minimum due, paying within 10 days of the statement closing date earns you a 1.5 percent discount on the portion of your bill that you pay early. As a Plum Card from American Express cardholder, you can choose whether to receive your bill at the beginning, middle or end of the month. You'll have to pay off your balance in full when you get each statement unless you exercise the "Extra Days to Pay" option, in which case you'll have until the following statement due date to pay off your balance. The two best features of The Plum Card® from American Express are its early pay discount and payment deferral. What business owner doesn't want to save a little money whenever possible? Cardholders get a 1.5 percent discount on the portion of their balance they pay within 10 days of their due date. The only caveat is that you must pay at least your minimum payment due, which is typically 10 percent of the balance. The discount comes in the form of a credit on your next monthly statement. If this whole arrangement sounds confusing, here's the simple math: Let's say you charge $5,000 in a given month on your card, you must pay at least $500 that month to meet the minimum payment requirement (10 percent of your balance) and get the 1.5 percent discount, which amounts to a $7.50 statement credit on your next bill. It's not much, but over the course of a year, it's easy to see how the cash back you get can increase just for fulfilling a basic cardholder responsibility. Now consider the possibility that if you pay the entire $5,000 balance 10 days before the due date, you'd receive a credit of $75 on your next bill. You see how this could really add up? Small business owners also will like the payment deferral feature. Even though The Plum Card® from American Express is a charge card, not a credit card, cardholders do receive extra days to pay off their balance in full fee-free; up to 60 days extra, in fact. However, to take advantage of this benefit, you must pay at least 10 percent of your balance – accrued from new purchases, plus any balance you carried over from the previous month – by the payment due date. After this, you can defer any remaining balance to the next billing cycle without paying interest. Most charge cards have a shorter grace period to avoid a late fee (usually 25 days). With current interest rates on credit cards starting around 11 percent and going up from there, it could definitely benefit cardholders to not carry an interest-charging card. You, of course, have to keep in mind that not paying interest doesn't mean you get to sit on a balance for months on end; you don't pay interest because you're expected to pay off your balance in full each billing cycle or, if you exercise the "extra days" option, by the end of the 60 days. Otherwise, there will be fees to pay. The Plum Card® from American Express also doesn't come with pre-set spending limits, but keep in mind that American Express® reserves the right to adjust the card's spending limit based on your purchasing behavior, payment and credit history. If you have great credit, consistently charge high balances on the card -- and issue the minimum payments required to take advantage of the early discount and payment deferral -- then your credit limit should be in line with what you actually need to run your business. If you have widely variable spending, with low balances for consecutive months because of seasonal changes in your business, then you may want to opt for a card with a higher, more defined spending limit. The biggest drawback of The Plum Card® from American Express is the annual fee. Though it's $0 the first year, it jumps to a hefty $250 after the intro period. Since cardholders don't have the benefit of points or cash back (in the true sense) to balance things out, it may be challenging to offset this yearly expense. You'd have to get $21 a month back as a result of the 1.5 percent discount (the equivalent of paying $1,400 a month on your balance). Another drawback? Business owners need to always have cash on hand to pay their minimum balance. Otherwise, they risk a 1.5 percent penalty fee plus an additional 2.99 percent fee on the past due amount (minimum fee is $38). The Ink Business Cash℠ Credit Card is a true cash-back card. New cardholders earn $500 cash back when they spend $3,000 in the first three months. You also earn 5 percent cash back on the first $25,000 spent at office supply stores and on phone, internet and cable services and 2 percent cash back on the first $25,000 you spend on gas and restaurants every account anniversary year. Cardholders also get 1 percent unlimited cash back on all other purchases. Though the Ink Business Cash℠ Credit Card doesn't have an annual fee, it does offer a true rewards system. Both cards come with benefits such as free employee cards as well as extended warranty, purchase protection and rental car insurance, but Chase® doesn't give you discounts for paying early or offer flexible payment options that lead to interest savings. Chase offers 0 percent interest on purchases for an introductory 12 months and then a rate of 15.49% - 21.49% Variable. If you want more rewards for your spending and no annual fee in perpetuity, go with Chase®. 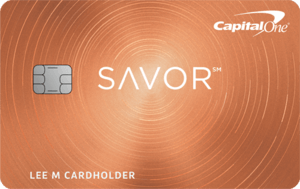 The Capital One® Spark® Cash Select for Business card gives cardholders unlimited 1.5 percent cash back on every purchase and a $200 cash bonus when you spend $3,000 within the first three months. Unlike The Plum Card® from American Express, there's no annual fee, but the Capital One® Spark® Cash Select for Business does offer no foreign transaction fee and free employee cards and a 0 percent intro APR on purchases for nine months. Both cards are explicitly for business owners with excellent credit, but The Plum Card® from American Express gives business owners more flexibility to carry a balance when inevitable cash flow issues arise. With Capital One®, cardholders have a 25-day grace period before interest kicks in. The potential fees with the Capital One® Spark® Cash Select for Business will take a chunk out of any rewards you earn, so if you go this route, you'll want to be certain to pay your balance in full in order to avoid the interest charges. The Bank of America® Business Advantage Cash Rewards Mastercard® credit card is a tiered cash-back rewards card designed to reward business owners for purchases they're likely to make. Cardholders can earn 3% at gas stations (default), office supply stores, on travel, TV/telecom and wireless, computer services or business consulting; 2% cash back on dining (for the first $50,000 in combined choice category/dining purchases each calendar year 1% thereafter); and 1% cash back on all other purchases. On the other hand, The Plum Card® from American Express doesn't come with a pre-set spending cap, so if you anticipate needing to spend big, that could be a better option. Also note that the Bank of America® Business Advantage Cash Rewards Mastercard® credit card does charge a 3 percent foreign transaction fee, so if your business takes you abroad, you might be better off with another card. Business owners with excellent credit who periodically need to carry a balance on their credit card to account for cash flow issues should take a look at this card. If you have more expenses than usual or business is slow, The Plum Card® from American Express may help you account for some of the shortfall. But business owners still need to have cash on hand to pay the minimum balance, so this card isn't for someone who's looking to float a new or struggling business with credit. To see the rates and fees for the The Plum Card® from American Express, please visit the following link: See Rates and Fees. This card initially allows you to charge card with an increased spending limit and then all of a sudden cut off your spending ability to more than half of what you are able to spend the previous months even with good payment history with AMEX. After 3 months, they'll increase again and then 3 months after that, they cut it off again! All these without missing a damn on time payment! This happened to us twice already! It is so frustrating! This ultimately screws up your cash flow especially when you are a growing company. You are better off with a card that has a set credit limit that way you know exactly how much you can spend and plan allocation of cash flow appropriately.Extremely disappointed with AMEX Plum. I would not recommend it for a growing company.